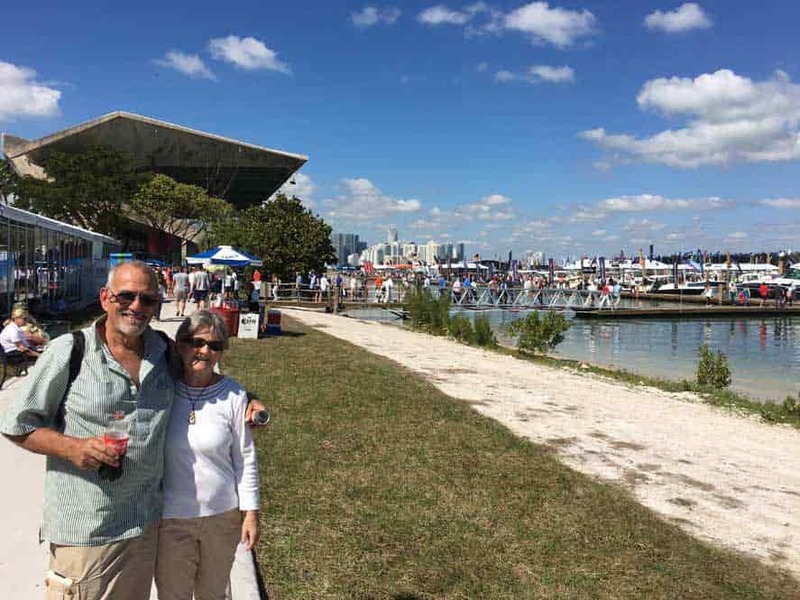 Boat Shows – NO MORE! I hope I can remember this. No more boat shows! We went to the St. Pete show in November. It wasn’t up to it’s usual. There seem to be fewer and fewer supplies attending these shows than in years past. And … since we were back in the Land of Instant everything we decided to visit the Miami Interntational Boat Show. Two thumbs down… for both shows. We’ve been to the St Pete show so many times I have to remove my shoes to count. The Miami show I’m guessing about 7 or 8 times. Neither show had the manufacturers I would have thought to be there. There were a lot of power boats and very few affordable sailboats. Yeah, if you have well into a six figure income you might be able to swing the purchase of a boat but even then….. Most of the sailboats shown were actually for the charter trade. The manufacturer’s want you to assume the risks and then use the boat up in chartering for 7 years after which time you receive a well used; and abused boat; free. Yeah right! Free! After again you sink a few 100 grand more back into the boat it may well be cruise ready. Nothing is free in this world. required more than a day to see it but quite easily we were able to see all the exhibits and displays in less than 2 days. In years past it required a good three days or more to walk the show and talk to a few people. Too, some of the exhibitors we wished to talk with didn’t have enough representatives for the people interested in their gear. A friend waited at one exhibit; started to talk to a representative, the rep said just a second he needed to say something to another customer and after 5 min or so didn’t return. My friend shook his head and walked away. No sale! Disgusting! fool me twice….. you know the rest. On the third day we just hung out. We were volunteering for the SSCA booth and our slot was in the pm. The people were slowing down, we were slowing down but we still had enough energy to talk with show visitors. what we saved with all the “show discounts” for the most part paid for our trip. No more. Discounts were minimal or non existent on many items. We ran into a few cruising friends but we don’t really need a boat show to have a get together. No, for us. I expect this to be the last US boat show we attend. I don’t know about NZ or Australia. Maybe they will have boat shows like those we’ve had in the past in the US, where manufactures and suppliers all were in attendance, all showing their wares. I hope. 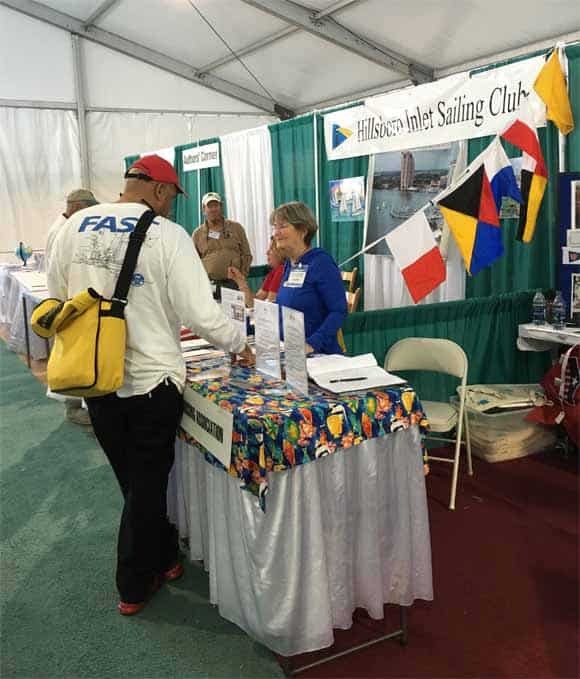 Posted in Places, Provisioning | Comments Off on Boat Shows – NO MORE!